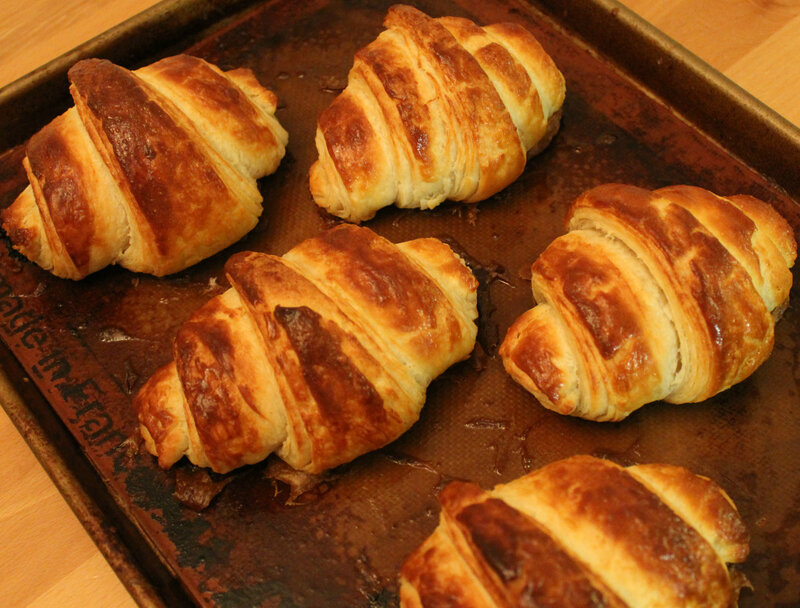 a cook’s croissant is a test of his technique. the ingredients are simple and the recipe leaves little room for spontaneity. an excellent croissant is largely the result of patience: don’t overwork the dough, don’t rush resting periods, have soft hands. the girl and i last had croissants in January at a small bakery in The Mission District, called Tartine. that was almost 6 months ago. it’s been too long. so here is a recipe to help sate the fix. the ingredients are simple; the instructions are, too. don’t rush. mix on low with the hook attachment for 3-5 minutes, until the mixture comes together and pulls away from the bowl. allow the dough to rest and prepare the butter: slice into 1/2 inch thick pats. sandwich between two pieces of cling wrap. 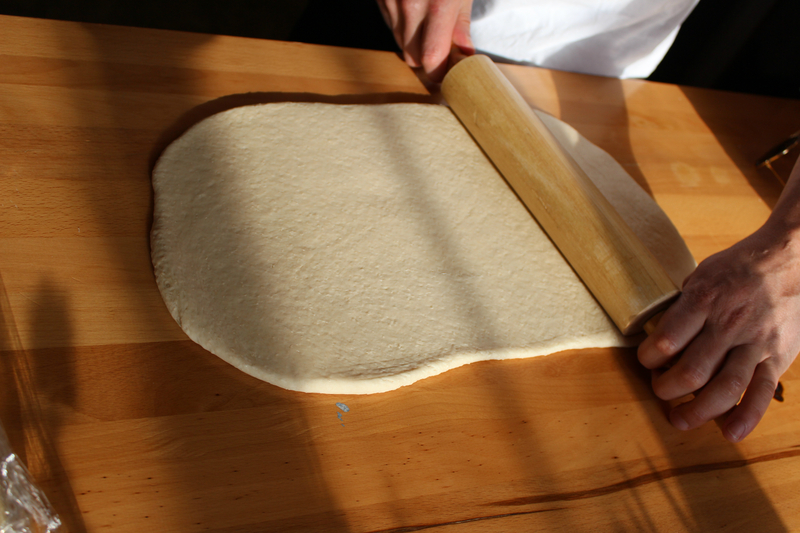 using your grandmother’s rolling pin, roll out until ~1/4 inch thick. refrigerate for 15 minutes when done. 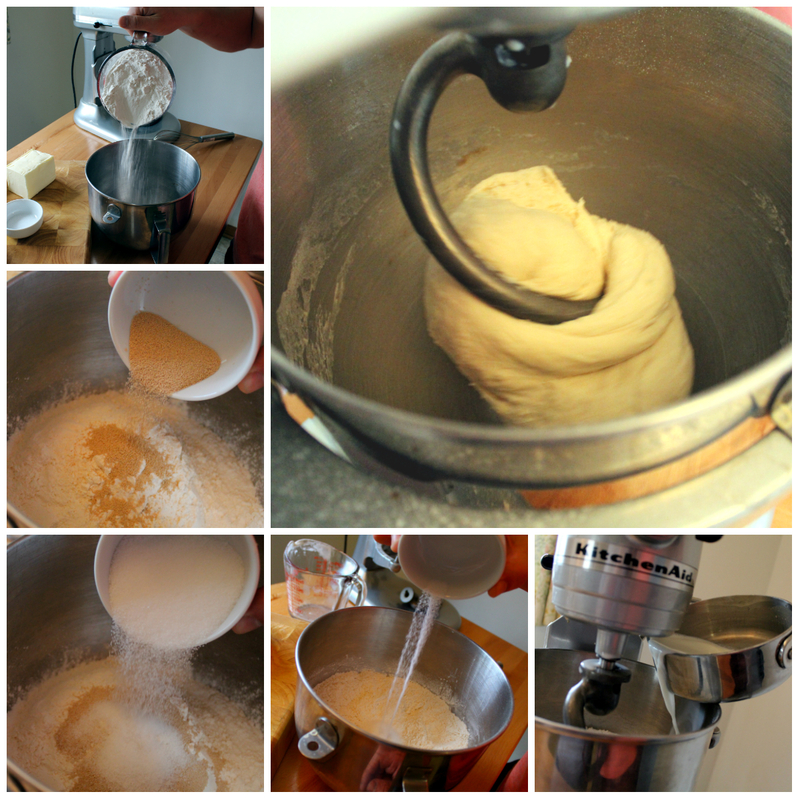 while the butter is chilling, roll out the rested dough. the following steps are the crux of the whole thing. 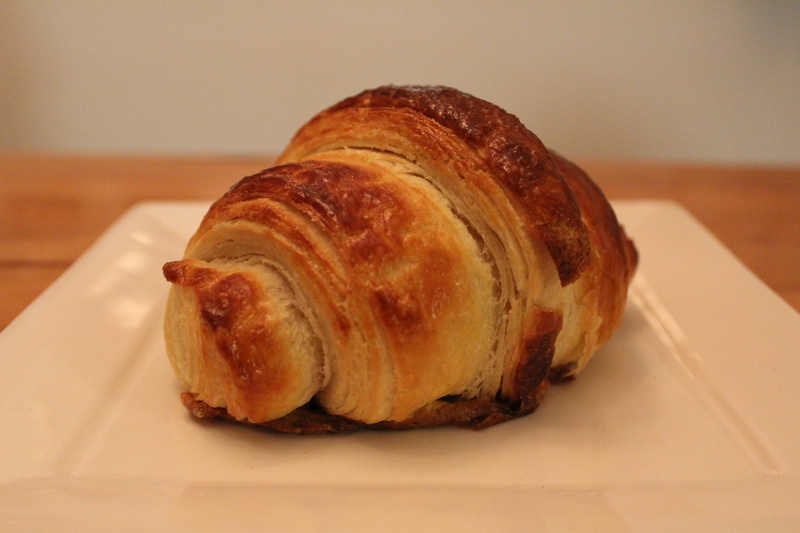 while the yeast gives the croissant its airiness, the butter gives the croissant its layers. the dough should be rolled out to ~24 inches by 12 inches. the butter should cover ~2/3 of this. flip the chilled butter and using a bench scraper, spread the butter til it is covering the right 2/3s. 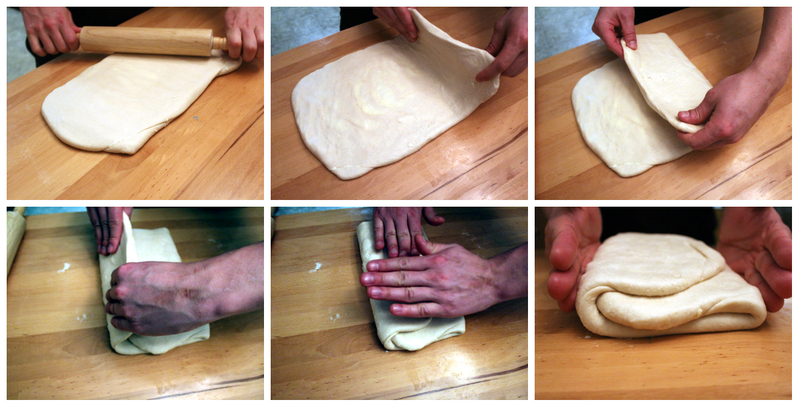 fold the dough as shown below. 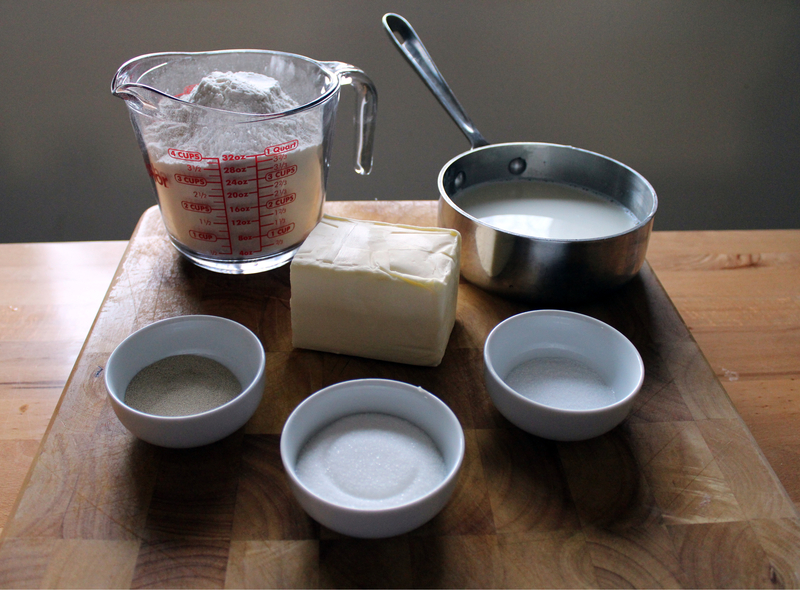 notice that there are now alternating layers of dough > butter > dough > butter. 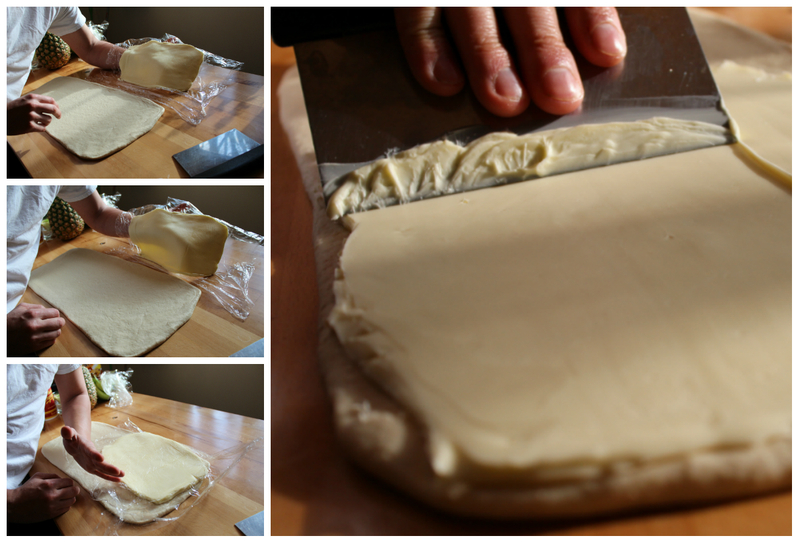 wrap the dough in plastic and chill for ~30 minutes repeat the rolling, folding and chilling process 4-6 times. preheat oven to 425. once you’ve rolled and folded as many times as you can stand, roll out the dough into a large (24″x12″) rectangle ~1/4 inch thick. cut into triangles, stuff with chocolate, and roll as shown below. 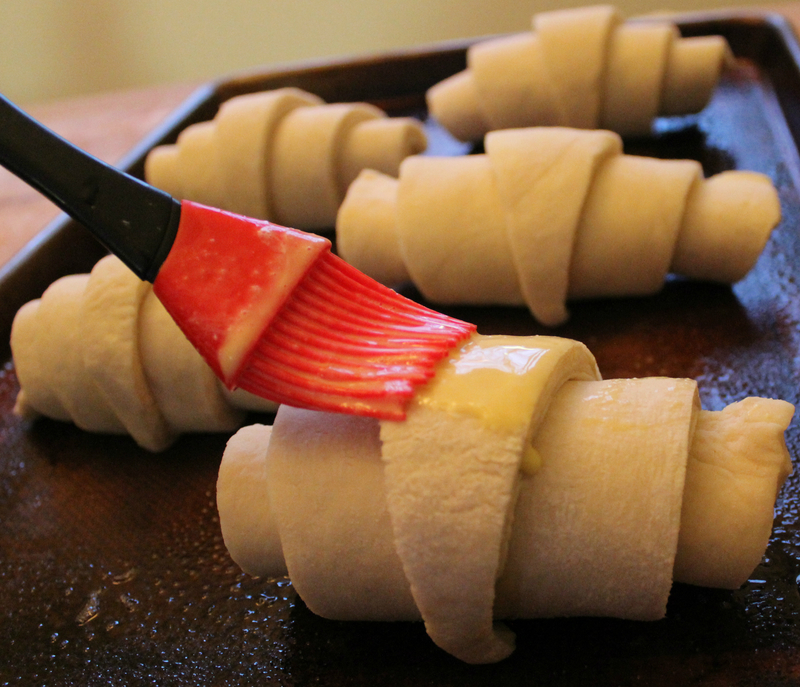 place croissants in oven and immediately decrease temperature to 400 degrees and bake for 10 minutes. then reduce temperature to 375 and bake until golden for an additional 15 minutes. ~25 minutes total time in the oven. serve them warm. with an espresso. and a napkin. or five.